Community Mobilization Prince Albert will be shutting down the Prince Albert Centre of Responsibility this summer. The unique program, which has shared research to solve social issues in the Prince Albert area, will officially end operations on June 28. The provincial government plans to create a provincial Centre of Responsibility located in the Ministry of Corrections and Policing. “Supports and services will be available to a broader population and will not just be focused on the Prince Albert area,” says Prince Albert Centre of Responsibility Steering Committee Co-Chair Tom Michaud. The Centre of Responsibility has teamed up with another program, the Hub, which works to help at-risk people. 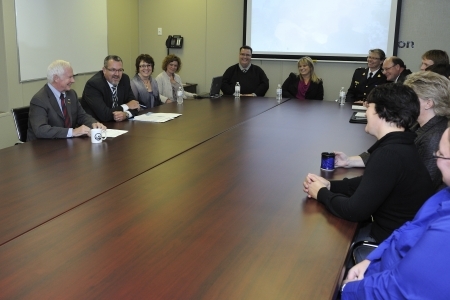 “We will continue to have the Hub table operating in Prince Albert and there are Hub tables across the province that will continue the fantastic work that they do,’’ Michaud adds. The Hub model started in Prince Albert and has been adapted by three First Nation communities in Saskatchewan to create the Intervention Circle model. “Our government remains committed to supporting both the Hub in Prince Albert, and Hub tables across the province.” Corrections and Policing Minister Christine Tell says.